Click here for more career coloring pages. Practice Addition with Ted the Farmer! 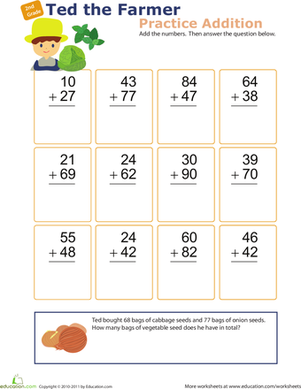 If your little mathematician helps out Ted the Farmer, he'll get some great addition practice as he assists a friend.